As our lives have evolved and living standards have improved, our days have become more and more busy. Time is at a premium for many. Sometimes life seems like a continuous cycle of things to do, and it can be difficult to balance everything. Now more than ever we have access to food which has been prepared for us – in whole or in part. But is this a good thing? 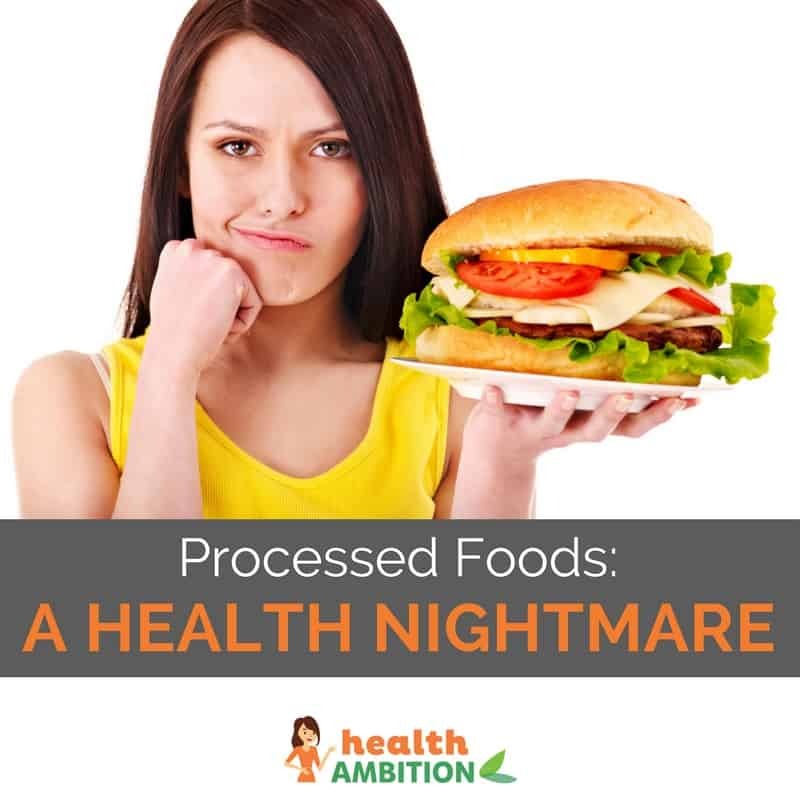 Although foods that have been processed for us undoubtedly save time, the fact that they are processed means they have been changed in some way, and are likely to have different ingredients than if we prepared the same food ourselves. Manufacturers have a vested interest in making these processed foods have as long a shelf life as possible. Additives and preservatives are often used for this purpose. There has been growing concern regarding processed foods in the last few years. We decided to have a closer look at processed foods and their effects on health. To put it simply, processed food is food that has been changed by a manufacturing process so that it is different from the way it appears in nature. It’s actually quite difficult to find foods that have not been processed in any way – even natural butter is made from milk which has been separated and churned by a mechanical process. However, butter is still a natural food with very few added ingredients. There is a big difference between mechanical processing – like grinding beef – and chemical processing. Foods that are made entirely from ingredients that have been refined, have artificial added ingredients and are largely unrecognizable compared to their sources have been highlighted as a dietary concern. The number one additive in processed foods is sugar or high fructose corn syrup. In addition to this, sugar doesn’t have any of the essential nutrients we need for good health – it just contains a lot of calories. It’s important to note here, that it’s not just the sugar we put in our home-made cakes and beverages that’s the main cause for concern. It’s the hidden sugar in processed foods like breakfast cereals, white bread, bagels, commercial canned foods, sauces, soups and salad dressings that is the real problem. There are many different types of sugar, and not all of them have the sweet taste we immediately think of. There are simple sugars – monosaccharides, like glucose and fructose and complex sugars, called disaccharides, such as sucrose, maltose and lactose. The sugar in many savoury-tasting foods is actually made up of long chains of the simple, sweet sugars. When we consume them, the long chains are broken down very easily into simple sugars. This is something which can be tested. Hold a piece of a savoury cracker in your mouth until it softens. You will notice the taste changing from savoury to sweet as the long chains of sugar start to be broken down by saliva. So simple sugars are an ingredient in many processed foods, but so are more complex sugars that we don’t necessarily recognize as sugar in terms of taste. All forms of sugar are types of carbohydrates. Many processed foods are very high in carbohydrates. While not everyone agrees on the question of whether carbs are good or bad, there is a universal belief that refined carbs are not as healthy as carbs in whole foods. Refined carbohydrates are produced by taking the natural source of carbohydrate – the plant that it originates from – and modifying it to remove everything except the part that is easily digestible. This means the sugars in refined carbohydrates are easy for the body to digest, resulting in a large amount of sugar in the blood and large quantities of sugar being delivered to the liver. This is the exact situation which presents significant dangers to health. The rapid spike in the level of blood sugar causes increased production of insulin as the body attempts to get blood sugar level back down to the normal range as quickly as possible. This can lead to cravings for more carbs because the body recognizes a marked drop in blood sugar. Quite simply, if you choose to include carbs in your diet, the healthiest source is from whole, single ingredient foods. To keep the cost of producing processed foods as low as possible and maximize profit, manufacturers often use cheap fats and vegetable oils as ingredients. The easiest way to decrease your intake of hydrogenated oils and trans fats is to decrease the amount of processed food you consume. Instead, use unprocessed fats like butter, olive oil and coconut oil. Even those of us who do regularly look at the labeling on most processed foods have a tough time working out what many of the ingredients are. This is because many ingredients are artificial chemicals added for a specific purpose. Texturants to lend a particular texture to the food. And it gets even more complex than this! An artificial color listed as one ingredient can itself contain many more ingredients which manufacturers don’t have to specify on the labeling. An artificial color or flavor can be a blend of many different ingredients to achieve the manufacturer’s desired effect on the processed food. According to food standards, all of the ingredients in food have to be tested to make sure they are safe. However, we have to consider exactly what safe means. For example, sugar, which we know can cause such harmful effects to our health, can still be listed as a “safe” ingredient. It’s hard to have confidence that all the other ingredients in processed foods are not harmful to health. There are whole host of problems associated with processed food, both in terms of ingredients and the way the body manages them. Let’s take a look at some of the most significant problems. Most whole, unprocessed foods contain many different components, including small amounts of all kinds of vitamins and minerals needed by the body to function well. Science is only just beginning to understand how many of these elements benefit our body. However, the sad truth is that many of us have already removed them from our diet by eating processed foods. The manufacturing process for many processed foods removes many of the beneficial components. Some manufacturers supplement their foods with vitamins and minerals to try to compensate, but guess what? Many of these supplements are processed foods too! In addition, even when manufacturers add vitamins and mineral to food, there’s no way they can possibly add in all of the beneficial trace ingredients. The only way to access there is to eat whole, unprocessed food. Fiber, and in particular soluble fiber, has many health benefits. Soluble fiber absorbs water as part of the digestive process, forming a gel-like substance that feeds friendly bacteria in our digestive system. It also helps to slow down the passage of food through the digestive process. As part of the manufacturing process, most of the natural fiber in foods is either lost or deliberately removed, leaving many processed foods very low in fiber. Processed foods tend to be easy to chew and swallow. Think of the foods that are often described as being able to “melt in the mouth”. It’s likely to be a processed food. With refined ingredients and most of the fiber removed, it takes our digestive system much less time and effort to deal with processed food. Less time, less effort…that’s a good thing, right? Not when it comes to digestion. The faster food passes through our digestive system, the less calories we use up to process it. We can also eat more food, consuming more calories, in a shorter time. One major problem with processed food is how easily accessible it is. We can pick it up from the supermarket or restaurant and consume it with hardly a second thought. Eating processed food becomes second nature to many people, and it is habit-forming. Some would argue that it can even become additive. We all love to eat food that tastes good. We are naturally drawn to foods that are sweet, salty and contain fat. This is because as we evolved, we learned that these tastes point us in the direction of the foods we need to consume for nutrients and energy. Manufacturers, of course, know this, and make sure that the food they produce tastes good. In fact, they have to. The food market is hugely competitive, so they invest in a lot of research to make sure their food is more appealing than the next item on the supermarket shelf. As a result, many processed foods are deliberately developed and manufactured to take advantage of our senses and over-reward us. Quite literally, the biochemical signals in our brain are overpowered by the effect of eating the processed food. With foods that have the power to over-reward our senses and override our natural food selection, we can potentially end up in a situation where we crave processed food to the point of addiction. This explains why some people just can’t manage without their daily fix of one type of processed food or another. Studies have shown that some processed foods stimulate the brain in the same way as drugs like cocaine. 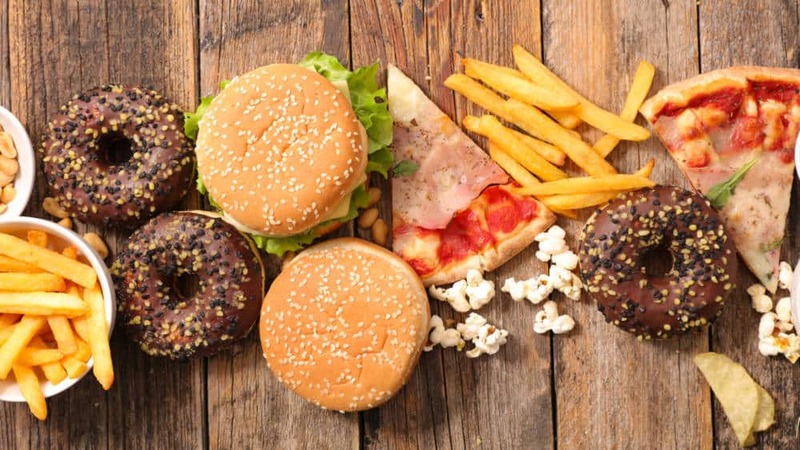 Research in this area has also observed compulsive eating behaviors, and highlights many similarities to drug abuse, and the over-stimulation of the pleasure centers in our brain in response to eating processed foods. Food manufacturers obviously want to package and present their products in the most attractive way to maximize their sales. There are ways of presenting information which can suggest to us that a food is healthy. For example, a carton of juice that says it is “100% natural” suggests you are drinking pure juice straight from the fruit. However, a closer inspection of the ingredients reveal that “100% natural” refers to no artificial flavor or colors, and the main ingredients of the juice are water and sugar, with actual fruit juice making up only 25% of the product. Similarly, beware of processed foods that are labeled “whole grain”. Even though foods use whole grains in the manufacturing process, if as part of that process the whole grains have been finely ground, they have still been broken down sufficiently that when we consume them, our digestive system can process them too easily. This results in an undesirable sugar hit. In short, processed foods are a dietary disaster. They contain many ingredients which are harmful, and have most of the beneficial elements of foodstuffs removed. They are low in essential nutrients and other beneficial food groups like fiber. Many processed foods are designed to overpower our brain’s natural decision making process regarding the food we choose to eat. 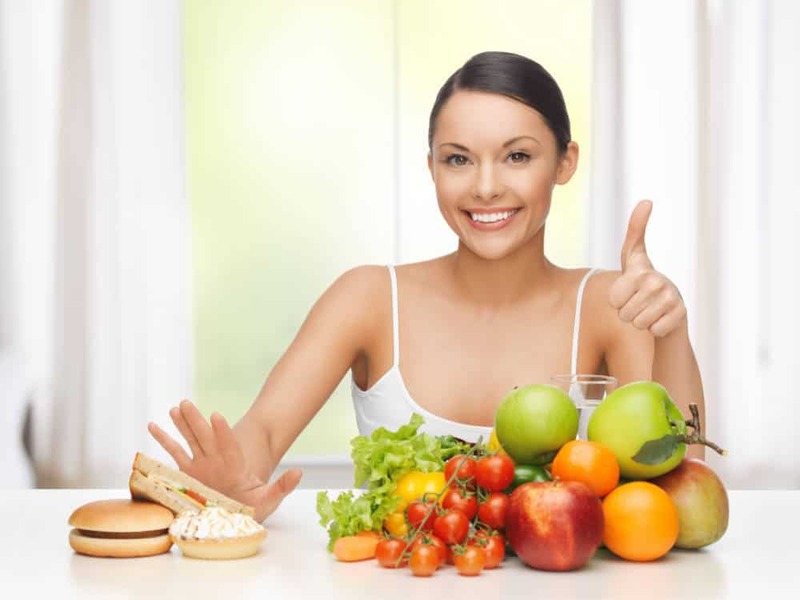 The best advice for good health promotion and to reduce the risk of many serious diseases is to base your diet on consuming whole foods wherever possible. Horse Meat Vs Beef – What’s the Difference and Should We Be Eating It?